RALEIGH, N.C. -- North Carolina legislators will repeal the contentious HB2 law that limited protections for LGBT people and led to an economic backlash, the state’s incoming governor said on Monday. Gov.-elect Roy Cooper made the surprising announcement just weeks before he takes office and shortly after the Charlotte City Council voted to repeal its own local nondiscrimination ordinance on Monday morning. The ordinance was enacted in early 2016 and Republicans blamed it for the statewide law. “Full repeal will help to bring jobs, sports and entertainment events back and will provide the opportunity for strong LGBT protections in our state,” the statement added. The Charlotte council’s move is contingent on North Carolina legislators fully repealing HB2 by Dec. 31. The Charlotte council thought about repealing its ordinance before, as part of a deal legislative Republicans pitched back in September, CBS Raleigh affiliate WNCN reported. Republicans said they would repeal the law if the city’s ordinance was repealed, but the deal never went through because the city council didn’t vote on a repeal. McCrory and lawmakers have defended the bathroom provisions as providing privacy and safety by keeping men out of women’s restrooms. Opponents of the law call it discriminatory. McCrory complained again about Charlotte’s ordinance and accused Democrats of playing politics with the issue. “This sudden reversal with little notice after the gubernatorial election sadly proves this entire issue originated by the political left was all about politics and winning the governor’s race at the expense of Charlotte and our entire state,” the statement said. Representatives for Berger and Moore didn’t immediately respond to messages seeking comment. The law was also seen as a factor in McCrory’s narrow loss to Cooper in the governor’s race, even as fellow Republicans U.S. Sen. Richard Burr and President-elect Donald Trump won the state by comfortable margins. McCrory was the first sitting North Carolina governor elected to a four-year term to lose a re-election bid. 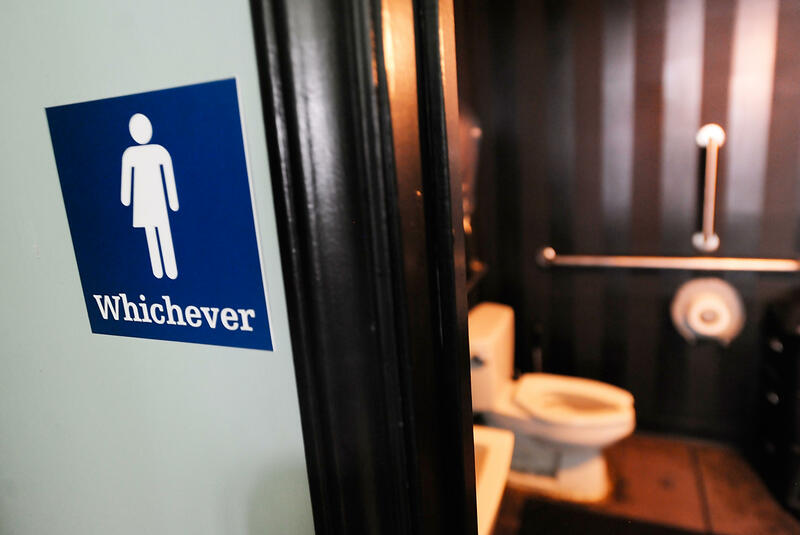 Republicans had long maintained that the statewide law was necessary to counteract the Charlotte ordinance that would have ensured transgender people’s right to restrooms corresponding to their gender identities. The Charlotte measure was nullified by HB2. Republicans have said the ordinances’ repeal was needed before they would consider getting rid of the statewide law. “The Charlotte City Council recognizes the ongoing negative economic impact resulting from the passage of the City’s Non-Discrimination Ordinance and the State’s House Bill 2,” the statement said.